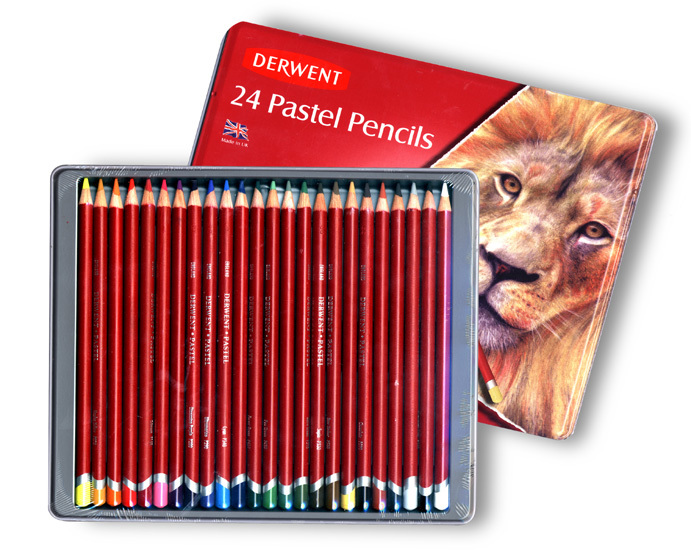 PASTEL Pencil Set in Travel/Storage Tin has all the beauty of pastels with the convenience and control of a pencil. Compact size makes it a great travelling companion for pastel artists on the go. Wood encased Pastels have a soft, powdery texture that produces a smooth, velvety finish. Pastels are ideal for blending and mixing. Pastel Pencils create crisp, fine lines and detailed pastel studies. Quality Crafted in the U.K.
measures 9" x 7.5" x 0.5"